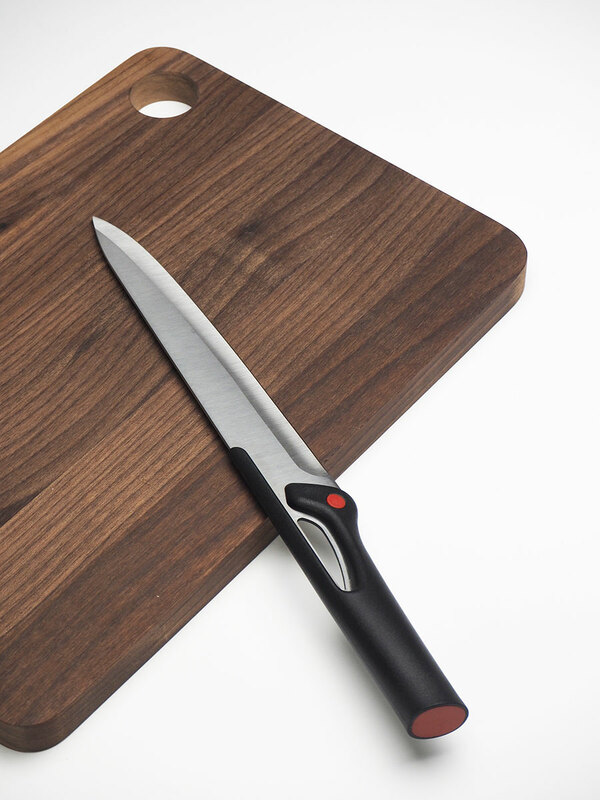 Professional kitchen knives set for cooking lovers. Professional kitchen knives design set designed for Shenda, famous Asian brand. The decisive and appealing design, characterized by an extremely recognizable sign, is the strong point of this innovative design. 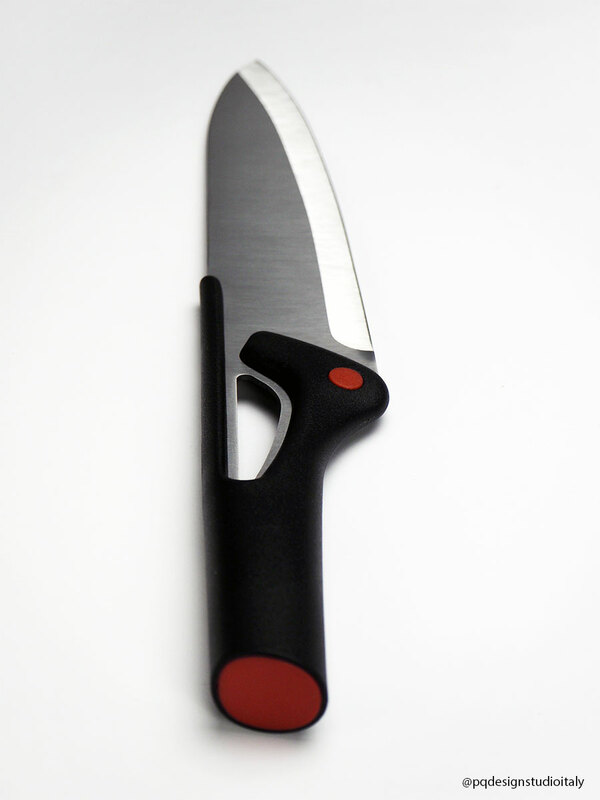 Made of a stainless steel core and an over-molded polymer handle. 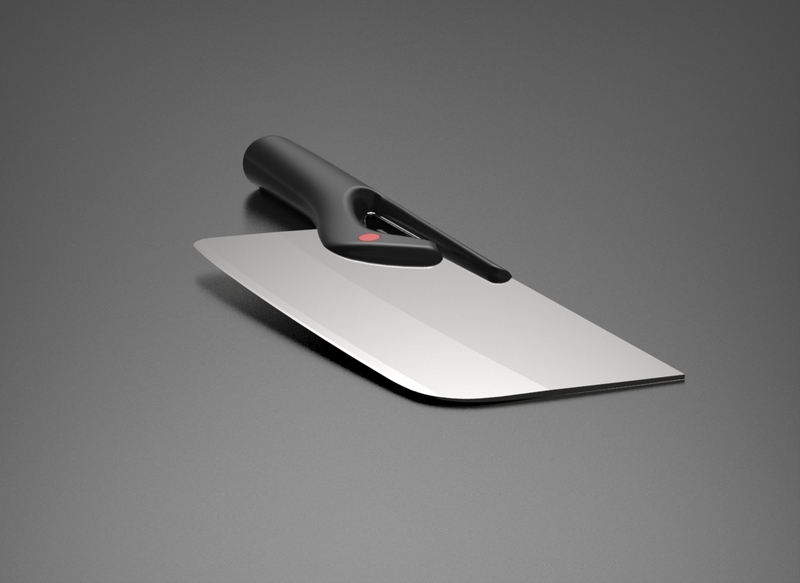 The design provides a wide protection of the hand thanks to the sinuous extension of the handle on the blade. The central hole with a strong character was designed to lighten the product, to provide a possible point to hang the knife, and to reinforce the identity and aesthetics of the product.